This is an incredible program where your child will be learning about mindfulness once a week as part of an 8-10 week classroom-based curriculum called .b(pronounced ‘dot-be’). It has also been delivered as an intensive 3-day summer camp. You may have heard of mindfulness or read some of the recent media coverage about it. 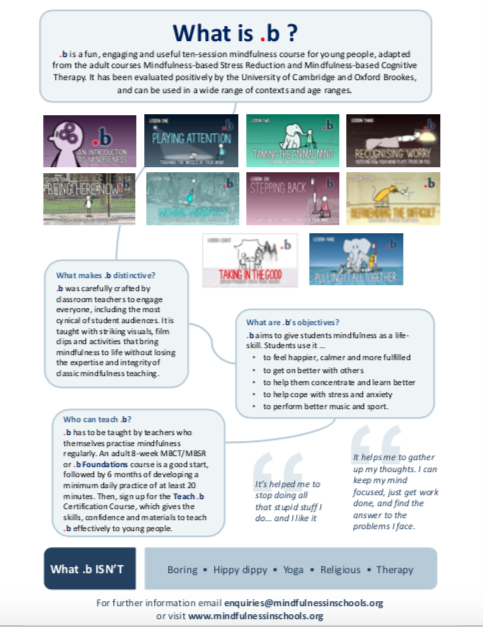 A great deal of this media interest has arisen as a result of the growing body of rigorous research evidence regarding the potential benefits of mindfulness for young people. These include randomised control trials and neuroscientific studies. At its most simple .bis an awareness-raising exercise to give all students a taste of mindfulness so that they know about it and can return to it later in life if they choose to do so. 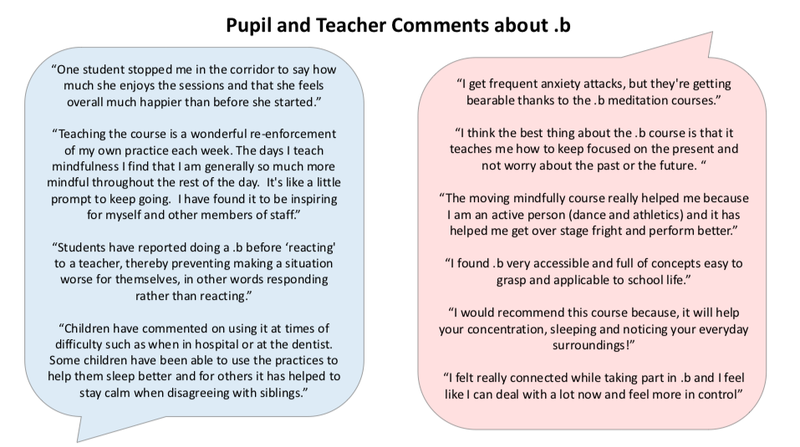 The feedback from students who take part in .b is very positive. 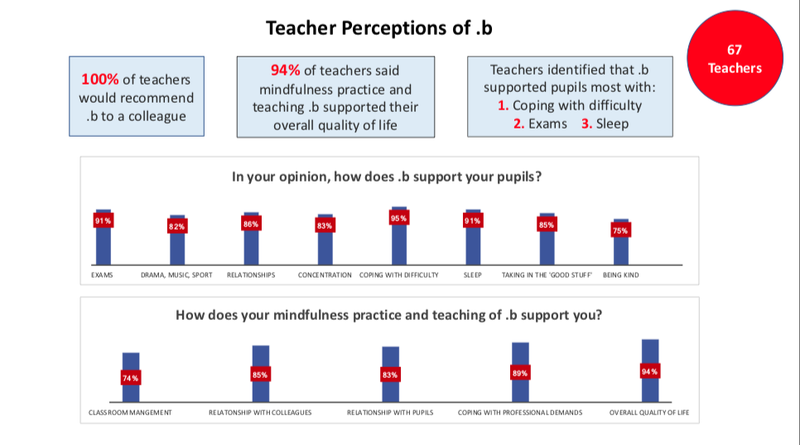 I would encourage you to follow the link to the testimonialspage of the Mindfulness in Schools Project website where you where you can hear students speaking movingly about their experiences of developing mindfulness skills having taken part in the .bprogramme. Please check the schedule for current .b courses. Would you like to bring .b to your school or organization? Please check the schedule for current 3-day intensive summer camps.